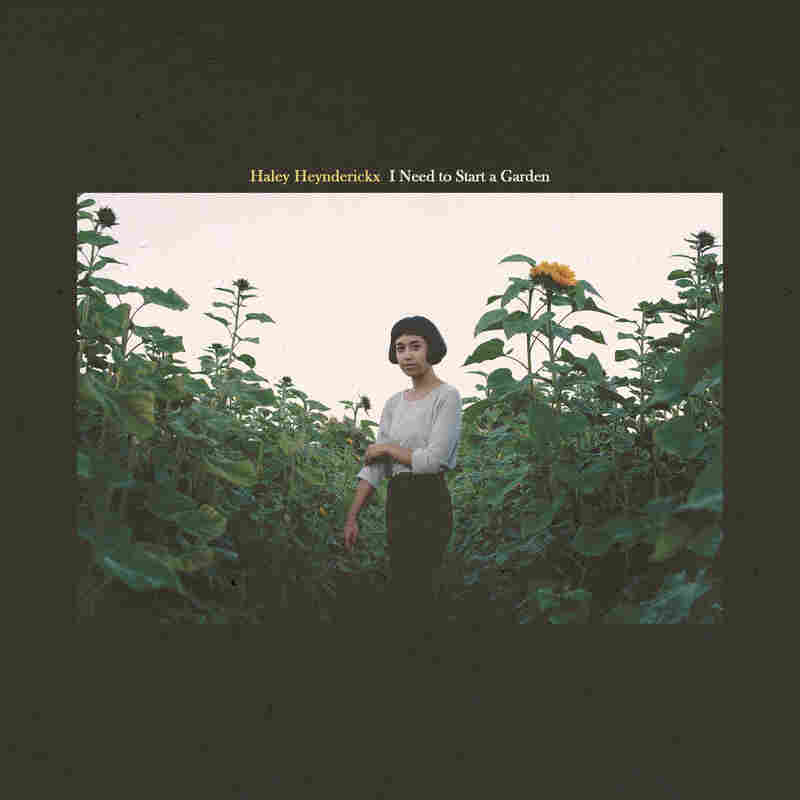 Review: Haley Heynderickx, 'I Need To Start A Garden' The burgeoning Portland songwriter counts John Fahey and Leo Kottke as inspirations. Two years ago, Haley Heynderickx released her debut EP, Fish Eyes, a promising four-song collection of electric folk music that was so beautiful and unguarded that it, at times, was uncomfortable to listen to. Like a tourist who's stumbled upon a wedding ceremony on a public beach, the bare songs almost prompted me to ask, "Am I supposed to be here?" Bolstered by the buzz generated from that recording, the Portland, Ore., singer-songwriter (and Slingshot artist) soon began working on her full-length debut, I Need To Start A Garden, but she initially struggled to replicate the dynamic of her live performances. Recording sessions started up, were scrapped, and started up again. Then, things stalled out completely. "I just wanted the whole thing to feel live," Heynderickx told opbmusic. "I wanted it to feel intimate. It feels like a conversation to me, getting to play a show. And now making a show for an invisible person, I have no idea how people can intake and receive music without the external stimuli [of a live performance]. It felt like a different craft, so it took me a long time." Eventually, she settled on the simplest solution. Her vocal and guitar parts were recorded live, with different instruments and backing vocals added later by her bandmates and co-producer Zak Kimball. It worked. From the opening note of I Need To Start A Garden (out March 2 on Mama Bird Recording Co.), the new album captivates. Heynderickx, who considers guitarists John Fahey and Leo Kottke major influences, plucks a classical guitar that's been detuned in such a convoluted manner that it almost sounds like a harp. While half-heartedly humming the melody of "No Face," she repeatedly drops her thumb onto the lowest string of the instrument, adding subtle depth. "I'm just a sucker for little details — and a loner at times — so I have to become my own bass player," Heynderickx says of her rhythmic playing style. Necessity may be the mother of invention here, but it's effective, especially when paired with her vocals. Like much of the record, the song's lyrics are introspective, delicate, and, at times, undecipherable, but Heynderickx's sweeping voice gives "No Face" a sense of increasing unease as she moves from a sense of exhaustion to intensely affected vibrato, all matched with ghost-like harmonies. Although Heynderickx is most comfortable playing an acoustic guitar, I Need To Start A Garden also demonstrates remarkable range; the sprawling, eight-minute long "Worth It," a completely electric song tinged with a punk ethos. But between those sonic spaces is where Heynderickx shines the brightest. The electric folk ballad "Untitled God Song" challenges the notion of a gray-bearded Almighty with lines like "Maybe my God has a trot in her walk / And her Coach bags are knockoff / Her shoes are all dressed up." And then there's the centerpiece of the record, the doo-wop inspired "Oom Sha La La," an irreverent single filled with quirky non-sequiturs and the line that would eventually become the title of I Need To Start A Garden. "The album feels like a tattoo to me," says Heynderickx about the lyric, "so I tried to find the right slogan that would make me laugh by the time I'm 60, 70 , 80 — if I'm lucky."